It was the Depression that triggered the birth of Merion Golf Club. Without this dreadful downturn, it is quite possible that the Merion Cricket Club would have continued to be not only a great center for lawn tennis and squash but also the proprietor of one of the world’s fabled golf courses, to say nothing of the delightful West course. When the market plunged, there was a mortgage of $500,000 covering the two courses. Merion Cricket Club had never enjoyed the luxury of working capital. As the Depression set in, membership declined. In 1930 the club could point to 1,022 golfers. By 1933, this number had fallen more than 25 percent, to 760. Initiation fees were dropped that year in order to attract new members. Expenses for maintaining the two courses were cut almost in half, from some $43,000 to $23,000. The golfing membership continued to dip: to 700 in 1934, to 533 in 1938. The caddie fee for 18 holes then was $1. The board considered reducing it, but decided against such a move. Still, Joe Taylor, locker room attendant for more than 50 years beginning in 1926, recalled a time during the Depression when the actual caddie fee was 85¢, tips were uncommon, and some members economized by playing nine holes and paying the caddie 50c even though he had to carry the bag all the way in from the 9th green. In 1938 Merion Cricket Club operated at a deficit of $1,400. The following year, the club lost $9,900. By 1940 it was running $18,700 in the red. Worse still, the mortgage went into default because there was no money to pay even the interest. With the passing of the months the fiscal picture grew even darker. It was now the conviction of a number of members that Merion’s chance of pulling through would improve enormously if it split into two separate clubs. The rackets players—tennis and squash—would continue as the Merion Cricket Club, owning only the Haverford facility. The golfers, to be known as the Merion Golf Club, would take over the Ardmore Avenue clubhouse and the two eighteens. On March 1, 1942, the prospective members of the new club voted it into existence. The problems it faced loomed large: a membership of only 283; no manager or office staff; buildings, equipment, and grounds in poor condition; working capital a negative $8,136.93; courses encumbered by a $500,000 mortgage, which was in default and with unpaid interest of $33,000. At the outset the board had to face up to the uncomfortable fact that if the club should fail before the year was up—and at the time this appeared to be more likely than not—it would be legally bound to refund to the members a pro-rata portion of their dues. This sort of thing can breed a determination to carry on no matter what. Among the specific problems encountered by the new club were getting a liquor license, obeying the War Board order to convert the two furnaces from oil to coal, patching the leaking roof ($78 did it), and keeping the ancient kitchen ranges from falling apart. As for Joe Valentine’s maintenance of the two eighteens, considerable resourcefulness was called for. But the great agronimist generally found a way. Once, needing to improvise a mobile sprayer, he had his men remove the body from an old bus and mount the sprayer on the chassis. With a view to increasing revenues, it was proposed that Merion Cricket Club members be permitted to play golf on payment of a green fee. The proposal was voted down because of a conviction that that is precisely what many of them would do—rather than pay the fees and dues required to join the new golf club. Membership increased from 283 at the start of the "new club" to 364 early in the second year (was badminton in the barn the lure?). But because of restrictions on pleasure driving, it was difficult for people to get there. Club employees worked diligently to locate state liquor stores that had any inventory, settling for a bottle here and a bottle there wherever they could. The club was now meeting its modest operating expenses, but it had managed to pay very little of the interest on the $500,000 mortgage and nothing on the principal. In September, 1944, with the mortgage in default and the amount of unpaid interest having risen from $33,000 in 1942 to $62,500, Merion was singularly fortunate in having Provident Mutual Life Insurance, holder of the mortgage, extend it for another three years and lower the interest rate, with the proviso that the club make the interest payments on time. It was just the breathing space Merion needed. Less than a year later, the war would end, first in Europe, then in Asia, and with a growing membership and sharply increased use of the two courses and the clubhouse, the most fundamental problem of all—survival—was now in the past. Today, the National Golf Links of America, in Southampton, Long Island, is generally viewed as the first great golf course built in this country. Charles Blair Macdonald, who had spent considerable time in St. Andrews as a youth and had players many of the great courses in Scotland and England, designed the National. It opened for play in 1911. The East Course of Merion is the second great American course. Hugh I. Wilson, after an extended visit to England and Scotland to examine the outstanding courses there, designed Merion East. It opened for play in 1912. It was the development of the Haskell rubber-cored hall that spurred the creation of Merion’s East course (and it was the enthusiastic reception accorded the East, with a consequent steep climb in club membership, that necessitated the building of the West course just two years later). Merion Cricket Club’s original eighteen, at Haverford, was simply too short now that players were making a habit of slamming the ball 215 yards off the tee. The club’s first thought was to acquire land contiguous to the old course, which could then have been revised and lengthened. But there wasn’t any for sale. What was available in 1910—and scarcely next door—was a 125-acre tract in Ardmore, a little south of the Philadelphia & Western Railroad (the P&W) tracks and straddling Ardmore Avenue. The land was described in one account as "worn-out farmland, none too well adapted in dimension or topography for golf course purposes." But it did possess a stone farmhouse, built in 1824, which, with some refurbishing, could serve as a clubhouse. In fact, it still does so—as the very core of the handsome and comfort-able white neo-colonial structure accommodating the members and their guests today. The next step was the appointment of a committee (it is ever thus) to tackle the design and construction of the new course. Hugh Wilson, 3 I years old at the time, was named chairman of the five-man group. His colleagues were Rodman Griscom, Dr. Henry Toulmin, H. Gates Lloyd (who originally acquired the Ardmore property), and Richard S. Francis. A construction company executive, Francis was an engineer and a surveyor. 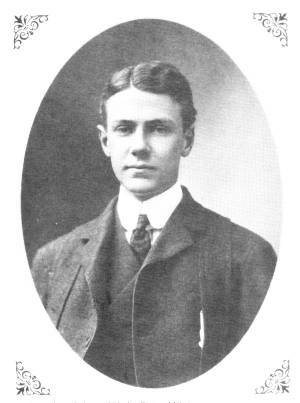 Hugh I. Wilson, designer of Merion East and West. But it was Wilson whom the committee felt should lay out the course. He was an accomplished golfer (former captain of the Princeton University golf team), not on the very top rung of Philadelphia golf but still a competitor who, on a given day, might knock off one of the favorites. What’s more, he had joined his brother, Alan, in the insurance business, which automatically gave a man plenty of time for his beloved avocation (the years that lay ahead in Philadelphia golf would bear this out: Woody Platt, Jimmy McHale, Bill Hyndman, Jay Sigel, all insurance salesmen). And when the committee concluded that o first-hand look at Britain’s best courses was essential before turning so much as a spadeful of dirt on Ardmore Avenue, Wilson was the logical choice to make the trip. It has been said that Wilson, who was sickly throughout much of his life, was sent to Britain in hopes that the stay there might help restore him to health, a not entirely likely development when you consider the number of damp and chilling days that characterize the climate there. Before sailing, Wilson made it a point to visit Charles Macdonald at Southampton, where the National was under construction. Macdonald was able to advise the young pilgrim on the courses that were, if you will, "required reading," and to suggest the aspects of those renowned eighteens that should particularly be noted. Hugh Wilson spent some seven months abroad. For the most part it was the shrines of Scotland and England he was playing and studying, though on occasion he visited less well-known courses, including some of the inland ones near London, such as Stoke Poges and Swinley Forest. After all, the new Merion course he was charged with laying out would scarcely be seaside. He returned full of information—and not simply in his head. He had made copious notes, drawn sketches of exceptional holes, and managed to get his hands on a number of surveyors’ course maps highlighting singular features. He was now reasonably well equipped to tackle what for many would have been—or at least should have been—a daunting task. Wilson was never bent on slavishly duplicating famous holes. True enough, he was inspired by what he had seen and experienced abroad—the splendid 3rd at Merion harks back to North Berwick’s 15th, and the forepart of the green of the equally splendid 17th does call up the Valley of Sin at St. Andrews’ 18th—but anyone who looks for full-fledged copies of renowned Scottish or English holes is bound to be disappointed. Wilson was out to build the best possible parkland course, with the beauty and playability implicit in the term, and at the same time to imbue it with a sweep and naturalness suggestive of the great models—many of them seaside—he had studied. Consistently strong shot values, good balance and variety, honest resistance to low scoring, an overall design that would both challenge and charm—these were the qualities he sought for Merion. When it came to building the course, Wilson was blessed with a top-notch crew. The three principal figures would go on to establish enduring reputations. Supervising construction was William S. Flynn, who had been a groundskeeper at Merion’s Haverford site, where there were cricket and tennis as well as golf. Reporting to him was Howard C. Toomey, a civil engineer who was also transplanted from the grounds crew at Haverford. Following World War I, the two would unite to form the golf course design and construction firm of Toomey and Flynn (Shinnecock Hills Golf Club; the James River Course for the Country Club of Virginia; Indian Creek Country Club, Miami Beach; and a number of superb Philadelphia area courses). Rounding out the trio was Joe Valentine, also from the Haverford facility. An immigrant from Abruzzio who had been educated for the priesthood, Valentine spoke Italian, an invaluable asset in directing the crew of laborers. 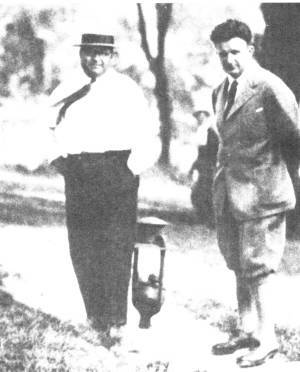 Joe Valentine would be named greenkeeper in 1918, would persuade Penn State in 1919 to introduce an agronomy course, would discover Merion Blue Grass behind the 17th tee of the East course in the 1930s, and would hold the greenkeeper post at Merion for 52 years, becoming, in the process, the most revered figure in his profession. Joe Valentine (left) and William Flynn. 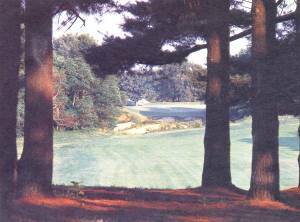 It was in the early spring of 1911 that construction of the new course got underway. There was relatively little earth-moving in these pre-bulldozer days. The necessary horsepower was generated by horses. The grass seed was a German strain that had been selected after considerable testing. It was sown in September, and the "grow-in" period lasted from that fall through the next summer. The total cost of the new golf facility, including clubhouse, came to just over $181,000. The real estate it-self had been purchased for $94,969, and the course built for $44,977. On September 14 the course officially opened. A competition among members and their guests marked the occasion. Howard Perrin, who would play a key role in the establishment of Pine Valley and become that club’s first president, won the tournament. His 79 was the only score under 80. .... 16th, 17th, 12th, and 3rd are the best holes. The old quarry, which is traversed by the last three holes, is a wonderfully effective natural hazard and makes these holes a fine finish.... The yawning quarry makes the 17th look fearsome enough, but the terror is more imaginary than real. The 16th is a corker... It is a real gem.... If your drive is a good one, before you stretches the old quarry, its cliff-like sides frowning forbiddingly. Just beyond, and sparkling like an emerald, is the green, calling for a shot that is brave and true. It seems almost like a coy but flirtatious maiden with mocking eyes flashing at you from over her fan, and as you measure the distance between, you are fired with the ambition to show off a bit... No one will ever play Merion without taking away the memory of No. 16. I think though that the quarry is a trifle too much like the Dutch housewife’s kitchen. In tidying up the place, the floor has been made very clean and there is no great difficulty in getting out. It might as well be just a bit harder. Dunes grass in bunkers at the green of the short par-3 13th hole. Summing up, Tillinghast pointed out that comparatively few bunkers were yet in place, then concluded on a somewhat muted note: "I believe that Merion will have a real championship course, and Philadelphia has been crying out for one for many years. The construction committee, headed by Hugh I. Wilson, has been thorough in its methods and deserves the congratulation of all golfers." One aspect of the new course may have dampened the enthusiasm of some observers. Holes 10, 11, and 12 all played across Ardmore Avenue, 11 on the drive, 10 and 12 on the second shot. The 10th and 12th were longer (75 yards in the case of the 10th, 20 yards in the case of the 12th) then than they are today. However, lest the notion of actually flying shots over a busy suburban artery seems all but inconceivable, it should be borne in mind that in 1912 Ardmore Avenue was, to all intents and purposes, a little-traveled country road that could indeed be viewed as a reasonable hazard in the natural order of things. In 1922 the club acquired eight acres between Cobbs Creek and the PSHAW tracks, enabling the three "Road Holes" to be eliminated as such, all rebuilt entirely on the south side of Ardmore Avenue. The fabled "Baffling Brook" 11th, one of the great short-to-medium two-shotters in the world. These changes, which were carried out under Hugh Wilson’s direction, clearly improved the course. But in no sense should they be viewed as a wholesale revamping of it. While the years have witnessed a number of refinements, these have been restricted for the most part to the construction of new tees in order to lengthen the course (the 1912 measurement from the back was 6,235 yards; today it is 6,482 yards—not even a 250-yard difference) and to alterations in the siting and shaping of certain bunkers. In 1925 Hugh Wilson began an ambitious pro-gram to revise the bunkering. He did not live to execute it, dying only a few weeks later of pneumonia. He was 45 years of age. Romantic view across the abandoned quarry to the green on the 16th. 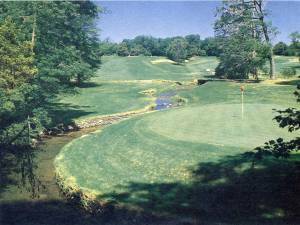 Merion is a wee wisp of golf’s ancestral land spirited away to a Pennsylvania valley.... The building of it must have presented an awesome challenge to Hugh Wilson. The gently rolling farmland chosen for the site in no way resembled the rugged tide-swept linksland he had studied. Yet he so thoroughly grasped the basic concepts of English and Scottish courses that he was able to reproduce many of their characteristics. He first made a superb routing, gently climbing the holes early in the game, and then winding toward the clubhouse, switching the boundary dramatically from the right to the left side and then bringing the player home over the old quarry. He left the green sites at the existing ground level, and then with men and mules transformed their perimeters. Using great resourcefulness, he simulated the abrupt, rugged lines of a links course. Merion’s greens were shelved, plateaued, hung from a hillside or braced against a revetted bunker. The fairway bunkers were raised, humped, dished, and made irregular. He created contour within contour that made his work appear as if it had been done by nature’s wind and weather. The original landscaping on this open land was left bleak to complete the links-like look. 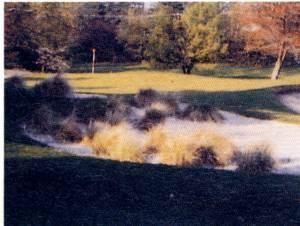 Later planting at Merion tended to obscure this look, but the great challenge of the course remains. The measured yardage is deceptive, for the opening shot on the par 4s and par 5s involves a strategic decision. There is no rule in golf that requires the player to hit all out with his driver from the teeing ground. The line of bunkering, the swinging fairways, and the green entrances make the player choose a line of attack or a position of safety. The square footage of the putting greens is not small, but the greens become small targets because, once missed, there is such abrupt surrounding con-tour that an infinite variety of delicate finesse shots must be mastered to recover. Merion asks the golfer to enjoy its classic beauty, but it demands his alertness, his golf knowledge, his courage and his finest ability. Merion is not great because history was made here. History was made here because Merion is great. Decoration Day had become a favorite of golf clubs for unveiling their courses. It was on May 30, 1914, that Merion Cricket Club opened its second eighteen, the West course. Hugh Wilson was its designer. 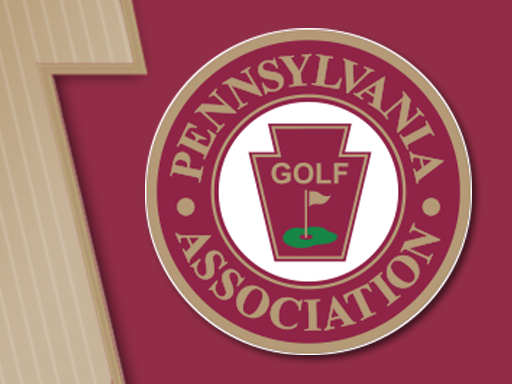 Philadelphia Cricket Club’s James I. Lineaweaver reviewed it for the American Cricketer: "[From the first tee and the 18th green] the larger part of the course lies spread before the view, stretching westwardly toward Darby Creek and distant hills .... Crossing and parallel holes have been rigidly avoided. Here are stream, slope and knoll utilized with rare judgment and affording fascinating tests of golfing merit.... A snap comparison would judge the present course [the East] the more difficult and the new one the more varied ... ."
The club minutes spell out, with what is perhaps pardonable pride, the importance of this addition to the golf facilities: "Merion now becomes the only golf course in America to possess two full eighteen-hole championship courses.... Our position in golf in this country [is] second to none and unique in golf history, enabling us to hold tournaments, national, state, or city, upon our course without interference with the game of our own members." Just two years later, in September of 1916, the East course, now all of four years old, hosted its first national championship, the U.S. Amateur. It turned out to be a milestone for two reasons. Only one of them involved the outcome.